Years in the making here is a new book for all members of the Clan MacLeod, and for any Scottish Clan who want to see how important a chief is in growing and preserving our old heritage. This book tells how an experienced member of a community can inspire and influence those around them to aspire to great things. Mentoring is an important part of attaining wisdom and experience. 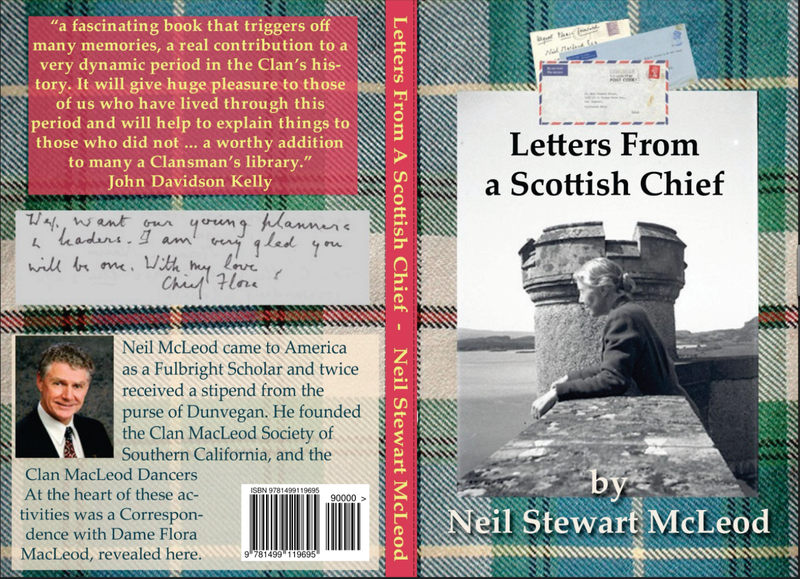 At the heart of this volume lie eighteen letters from Dame Flora MacLeod of MacLeod to her young clansman when he was a student at university. Her encouragement and support greatly affected the way time was used to remain involved in clan MacLeod activities after schooling was complete. I was that student. Dame Flora sponsored my schooling and supported me at a critical time when I was taking post graduate training here in the United States. In California a new Clan Society was formed, the Clan McLeod Dancers was founded and and annual general meeting of the clan was held here on the "Queen Mary" in Long Beach. Tours of the United States by prominent clan leaders were planned and hosted, most notably by Norman and Sheila of Suardal, Torquil Roderick Mcleod of the Lewes and JohnMacLeod of MacLeod. Many clans folk from California were encouraged to make the journey over the sea to Skye to attend the Clan Parliaments. Dame Flora's influence reaped a rich harvest. The book is available from Amazon Your favorable reviews will be much appreciated.